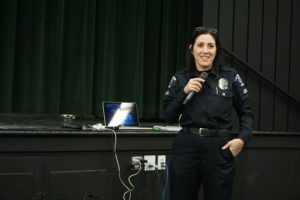 The La Verne Youth and Family Action Committee, La Verne Police Department, and Bonita Unified School District for an educational forum on the associated health risks of marijuana consumption. EDITORIAL: In chasing the fresh dough that a restaurant like Panera Bread would bring to La Verne, let’s not forget to help other eateries in town rise up to the new competition. Every time a popular role model suffers a few (okay, a lot of) transgressions, we want to drop them faster than our silver-mercury dental fillings. But maybe even our disgraced role models can still teach us something. Work Is Still a Good Thing, Yes?